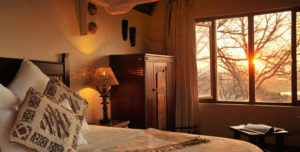 Muchenje Safari Lodge, our favourite Lodge for The Chobe National Park. Situated on the Western side of Chobe National Park, Muchenje Safari lodge offers spectacular Game viewing away from the ‘crowds’ in the Kasane area. 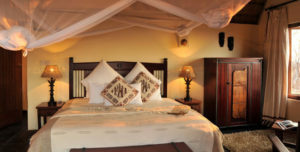 Privately owned and managed, this intimate Lodge accommodates only 20 Guests in comfortable Chalets overlooking the Chobe River and floodplains. Each Chalet has en-suite facilities, and is equipped with mains electricity. The neighbouring Chobe National Park is renowned for its concentration of elephant and buffalo, and the late afternoon in particular, provides spectacular viewing. Safari activities at Muchenje Safari Lodge include game drives in open Land Rovers, Boat cruises along the Chobe River – allowing for excellent game and bird viewing, night drives, and cultural visits to local villages. 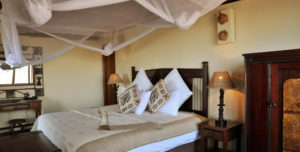 Muchenje Safari Lodge provides the most tranquil and hospitable atmosphere of all the Chobe Lodges. Additional facilities at the Lodge include a small swimming pool from which one can watch the wildlife gathering along the Chobe River. A pleasant lounge, dining area and bar are part of the Main Lodge area, along with an adjacent camp fire around which the tallest of stories are told over late evening drinks. 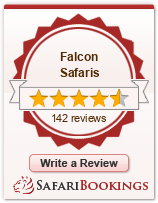 Muchenje Safari Lodge is our favourite Lodge in Chobe, and is in the medium price range.